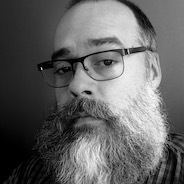 Paul Kimbrel - Web Developer and Systems Architect, Sound Engineer. I have over 18 years of professional experience in the areas of software application architecture, design and development. I also have over 23 years of experience in computer science. I have been a computer programmer, enthusiast, and evangelist for most of my life and I continue to look for ways to expand my skills and find ways of using technology to make life a little easier for everyone. I'm also very happily married and have three amazing children. Fortunately, my boys have shown interest in many of the same interests that I've had over the years which makes our home a very interesting place. My wife and I (mostly my wife) homeschool our boys and it's fun to watch them as they grow and learn.